Home Bangkok Visit The Best Parts Of Khao Yai For Just USD14 A Day! Located just 3 hours away from Bangkok, the picturesque town of Khao Yai couldn’t be more different from the bustling city. Apart from quirky European villages and some of the most bizarre accommodation options, Khao Yai is also home to Thailand’s largest national park where wild elephants roam free (scroll down for pictures!). The best part? You can Klook yourself a hassle-free private car charter to visit at your own leisure for as low as US$14 per person per day. Before you read on, check out what the Klook Team got up to in Khao Yai in this video! Travel to Khao Yai in a private van for up to 10 pax! The easiest and most convenient way to get to Khao Yai is by car from Bangkok. 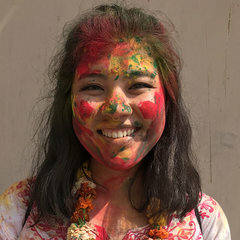 Klook offers custom tours from Bangkok with your own personal driver. You can opt for pick-up from either Suvarnabhumi Airport or Don Mueang International Airport – simply look for the Klook signboard outside the Arrival Hall. Alternatively, if you’re intending to stay in Bangkok for a few days first, you can also opt for convenient pick-up from your hotel lobby. Choose from two different vehicle types: car or van. The car can accommodate up to 3 people and the van up to 10 people. Depending on your holiday plans, you can also choose from 1-Day to 5-Day packages. There are two different packages available for selection on Klook. Package A covers attractions within a 50km radius of Khao Yai National Park, while Package B covers attractions within a 120km radius of Khao Yai National Park. It’s best to plan ahead and map out the different places of interest before you book your Khao Yai car charter. For a rough idea of where some Khao Yai attractions are located, you can refer to the Klook list of attractions. 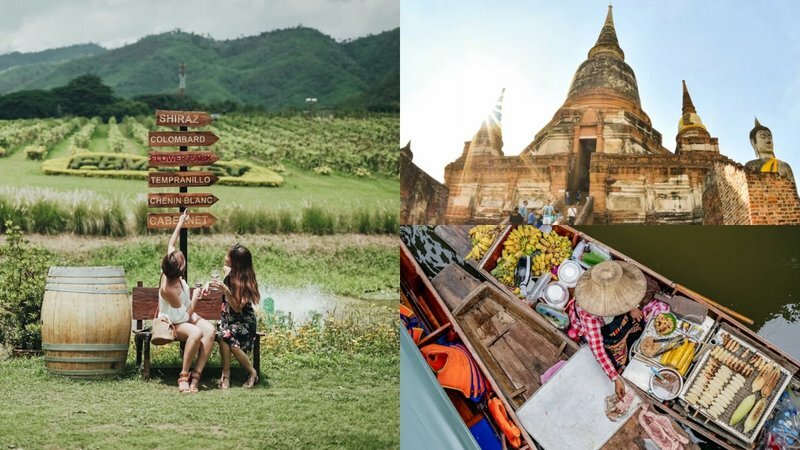 Khao Yai is full of things to do all year round, but some seasonal attractions such as the Saraburi Sunflower Fields, Jim Thompson Farm and strawberry picking only open in the cooler months of November through to January. Between weekdays and weekends, it’s a good idea to have a mix of both. When the Klook Team visited on a Monday there were few other tourists and we had the place to ourselves most of the time. However, certain highlight cafes such as the Yellow Submarine Coffee Tank only open on weekends. 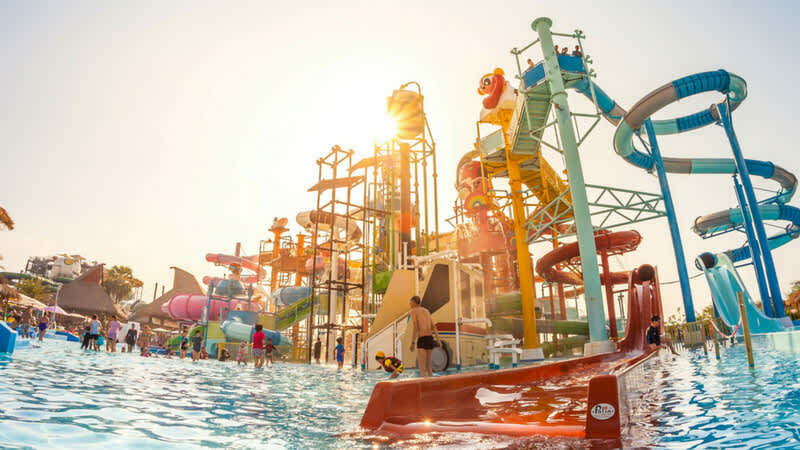 Klook Pro-Tip: It’s best to sit down and decide which attractions you’d like to cover and make sure they are open before you pick a date to visit! Check out some Khao Yai highlights below. If you thought wine was only produced in cold European countries, think again! PB Valley Estate is the largest vineyard in Khao Yai and the birthplace of the Khao Yai wine region! Sample a range of white, rose and red wines and enjoy a delicious Italian lunch at the in-house Terano Restaurant. Wine tasting starts from 150 baht in the comfort of an air-conditioned room overlooking the sprawling vineyards. You can even learn about the process of wine-making with a wine tour that will take you through the delicate steps of producing locally brewed wine.Our favourite was the rose, but even if you’re not a fan of wine, you can try a glass of pure Shiraz grape juice! You don’t have to travel all the way to Provence to frolic in lavender fields when you have one right here in Khao Yai! The Bloom is home to a multitude of different flora and fauna that bloom throughout the year so you won’t have to worry about when you arrive in Khao Yai! This is the perfect alternative to the Saraburi Sunflower Fields or Jim Thompson Farm if you happen to visit when these parks are closed. Guests can also choose to stay at The Bloom if they wish with a variety of different themed rooms to choose from. From castles to moats and even the iconic phone booth, Thames Valley is the perfect place for every London-fan! The iconic bridges and castle-esque buildings are only accessible by hotel guests, but you can still enjoy a very English Afternoon Tea for about 450 baht at The Castle Restaurant & Tea Room. The tea set comes with scones, finger sandwiches, cakes and a pot of tea perfect for sharing with your BFF. Food aside, the restaurant is filled with bookshelves and delicate cutlery – it’s every shutterbug princess’ dream come true! Ever wanted to try caravan living but don’t know how to drive? Make your dreams come true at Casa de Montana! Visitors can choose to stay in one of the many stationary caravans dotting the park that each come fitted with a bed big enough for 2, kitchenette, toilet and sofa! If you’re worried about the sweltering Thailand heat, don’t worry! Each caravan is air-conditioned. Hide in your own hobbit hole at the Hobbit Hotel, also known as Baan Suan Noi! Middle Earth is just a 45-minute car ride away when you’re in Khao Yai! The owners have paid extreme attention to detail and have recreated the hotel in every likeness of the popular Lord of the Rings franchise. Visit the tavern, or play dress up with many different costumes to choose from. If you’re not a LOTR fan you can dress up as Harry Potter or even Elsa from Frozen, but how you’ll fit into this little Hobbit Town we have no idea! Make like Snow White and get acquainted with furry animals at Primo Piazza! It costs just 100 baht to feed alpacas, merino sheep and even donkeys, and you’ll receive a 10% discount for food and beverage with the same coupon as well! If you’re lucky, the keepers will even let you into the pen to take some close-ups or #selfies with the friendly animals. Don’t be shy! By far one of the greatest highlights of Khao Yai is the opportunity to spot majestic wild Asian elephants roaming free in their natural habitat! Even though there are close to a few thousand elephants in Khao Yai alone, it is still extremely rare to be able to spot them. There’s even an elephant shrine in Khao Yai National Park itself testament to the reverence and respect the locals have for this incredible animal. The best way to see them is to book yourself into a Night Safari tour at the visitor centre at the National Park (4 people for 500 baht). The guides are extremely knowledgeable with eagle eyes that can pick out any moving animal in the dark like civet cats, porcupines and deer. Simply ask your friendly Klook driver to book you in for a session and chance to glimpse the elusive Asian elephant. Feast on delicious pizza and other Western dishes in the beautiful castle setting of Midwestern Green. This extensive compound features several turrets and brick walls similar to that of Scottish castles in the countryside. The staff highly recommend the Midwinter Pizza with their own refreshing take on the Italian staple – the pizza comes folded and served in a manner similar to pita bread. It’s also the perfect venue for weddings and celebrations – something you can consider if you’re looking for a unique way to spend an occasion! 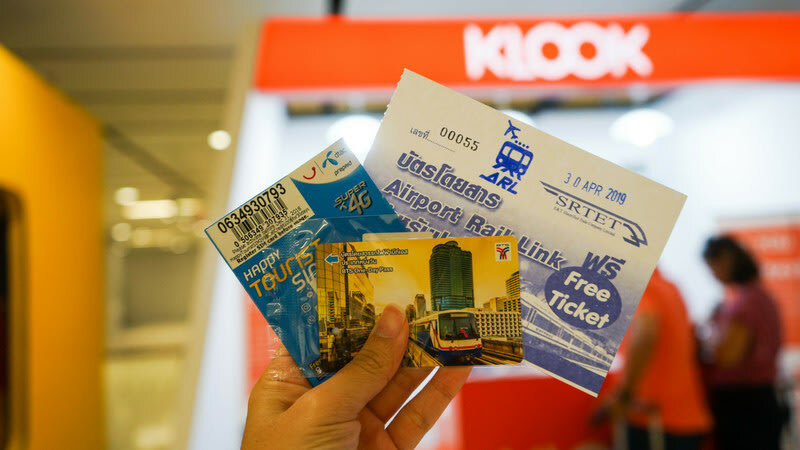 Klook a SIM Card and have it installed for you by our expert Klook staff the moment you land! Stay connected with your loved ones with UNLIMITED data for 8 days. Wander through the award-winning PB Valley Khao Yai Winery and sample some of the best wines of the region. The best part? You can even opt to dig into a sumptuous Italian lunch at the in-house restaurant! If you're travelling in a group, getting a Pocket WiFi device is the best way for everyone to connect at the same time. Each pocket wifi device can connect to 10 devices at a time, perfect for that epic friends getaway!